Will Tyler can fly on a football field. He may not be the biggest running back around, but no one can touch him when it comes to hitting the hole and finding the end zone. And no one can match his love of the game. When Will has a football in hand, he may as well be flying for real because life can't touch him - his dad isn't so defeated, his town isn't so poor, and everyone has something to cheer for. All of which does him no good if the football season is canceled. With no funding for things like uniforms and a cared-for playing field, with seemingly every other family moving to find jobs, there simply isn't enough money or players for a season. 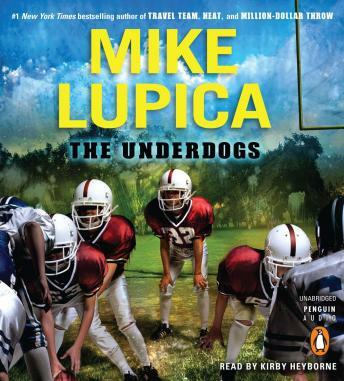 Unless one kid can rally an entire town and give everyone a reason to believe . . .For fans of his bestselling novels Travel Team and Million-Dollar Throw, Mike Lupica delivers a feel-good sports story that will have readers cheering where they sit.